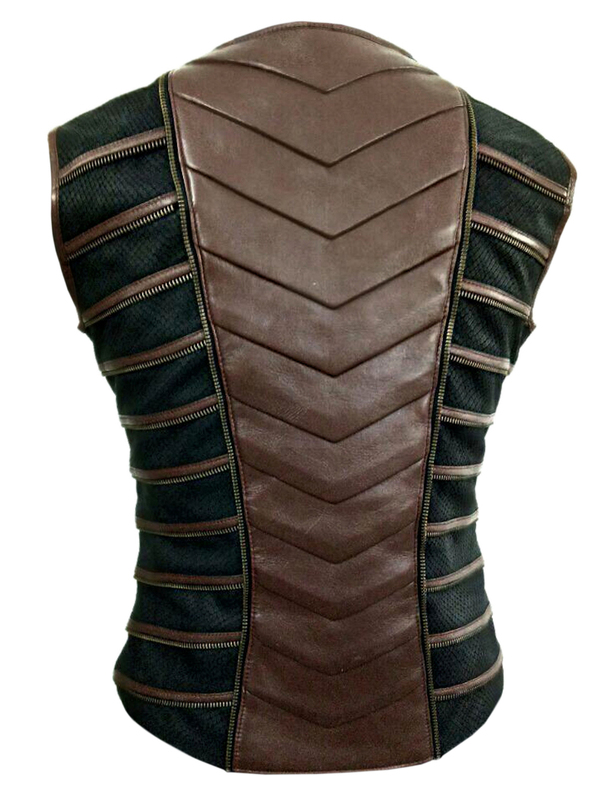 This futuristic leather vest featuring a multi-tone design with embossed black panels, perforated black front and brown full-grain leather raised pieces with shaped underlayers. 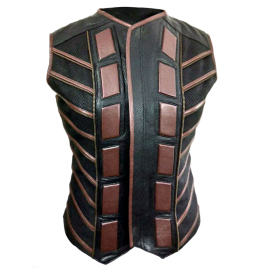 Antique brass metal strips run diagonally along the front and sides of the vest and the rear spine has shaped panels to match the front. 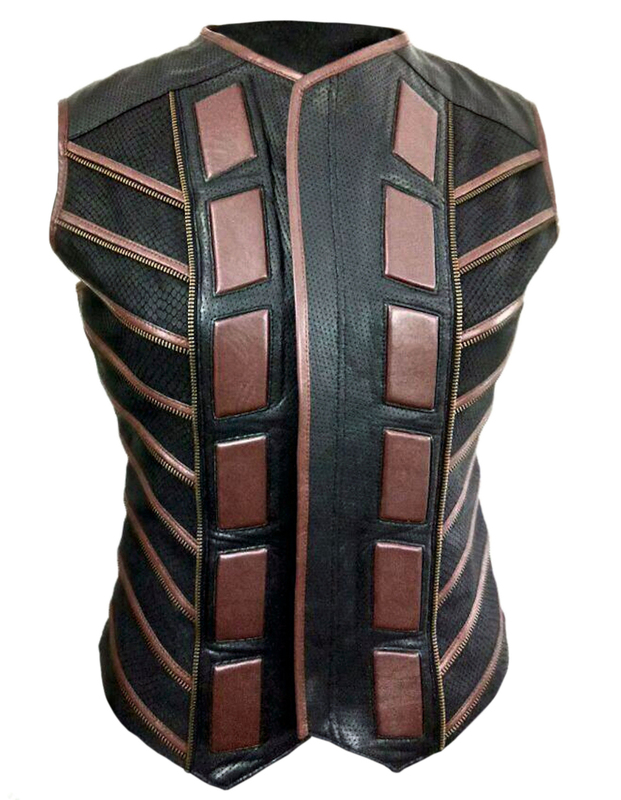 Vest closes at the front with antique brass zipper. Includes interior pockets. Made in several types of leather including goatskin and lambskin. Fully lined in cotton.